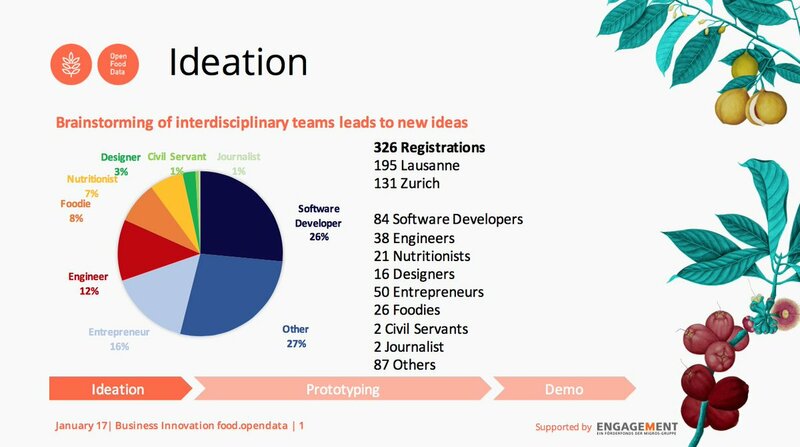 Building up on our Food Data Expedition last month, we are about to welcome over two hundred people this weekend to the Food Open Data hackdays in Lausanne and Zürich. openfood.ch is one of the several data sources we encourage people to use at the event. We looked into their public API and created a Data Package from one of the queries. This can make it easier for developers to get started, as they can immediately download and play with exports in Simple Data Formats, copy and paste code from our scraper on GitHub, or just compare this data source to others in a consistent way. 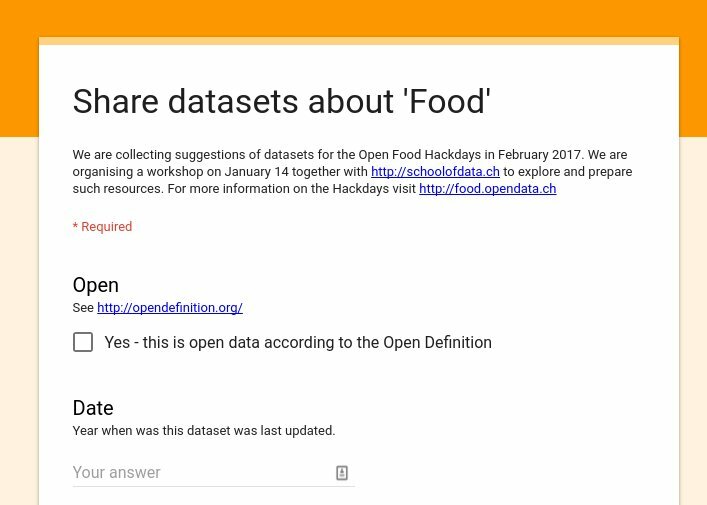 Check out this and other data packages at food.schoolofdata.ch, the platform we have prepared during the workshop, send us any improvement requests, or follow along virtually on social media at #openfood. There are going to be many challengers at the event, and a world of data to explore on a very personal subject. I am excited, and looking forward to meeting, brainstorming and making open data with our volunteers and participants this weekend. Stay tuned! 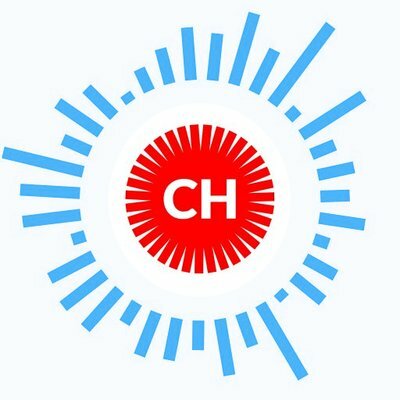 We received an interesting request from a researcher at the EPFL, to access the logs of public channels and interactions with our chatbot during the event, in order to “gain insight into how participants in the hackathon participated in conversations and engaged in team and cross team work”. The logs were created with Slack’s export tool, then stripped of any e-mail addresses using a global RegExp search. However, they still contain user names and other personally identifiable information. Please use correspondingly, and refer to Slack’s Acceptable Use Policy if in doubt. If anyone has tips on good policy for ethical use of social media, besides the Stanford Encyclopedia of Philosophy, please let me know. Send us a note, along with your intentions, if you also wish to put this to use.